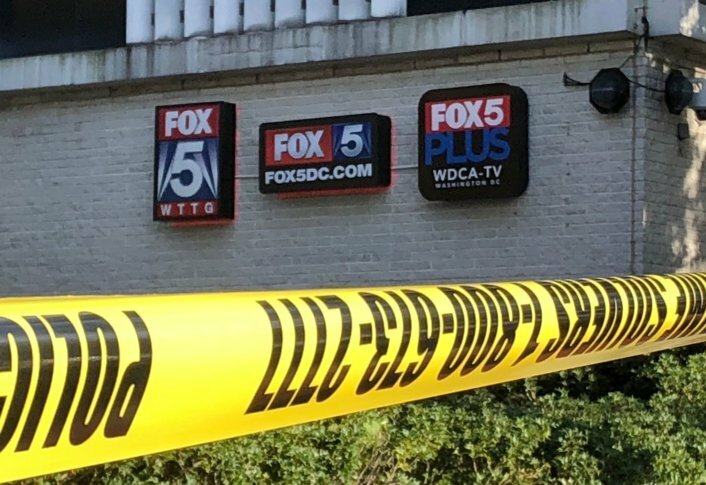 Police have charged a 38-year-old man with second-degree burglary after he broke into the Fox 5 news station Monday afternoon and was shot by a security officer. WASHINGTON — Police have charged a 38-year-old man with second-degree burglary after he broke into the Fox 5 news station Monday afternoon and was shot by a security officer. Just after 3 p.m., George Odemns approached FOX 5’s offices on Wisconsin Avenue in Northwest and attempted to enter the building, according to D.C. police. Odemns was confronted by a security guard, who informed him he was not allowed to enter the building. At that point, Odemns kicked his way through two sets of glass doors, entered the building and started walking in the direction of the desk station, near the main part of the building. The guard drew their weapon and instructed Odemns to stop walking. They then shot Odemns once in the chest, causing him to fall to the floor. D.C. police arrived on the scene shortly thereafter. Odemns was responsive when he was taken to the hospital, and is in stable condition. No employees were injured in the incident. In the past, Odemns sent rambling emails to FOX 5 and other D.C. area news stations, including WTOP, in which he claimed he was under the influence of a microchip implanted in his head — an allegation that led him to file dozens of lawsuits against multiple groups including the NRA, the Murdoch family, and the Trump Organization. In one such case against the Trump Organization, a judge said Odemns’ claims were “baseless, irrational and wholly incredible.” All the lawsuits were ultimately dismissed.